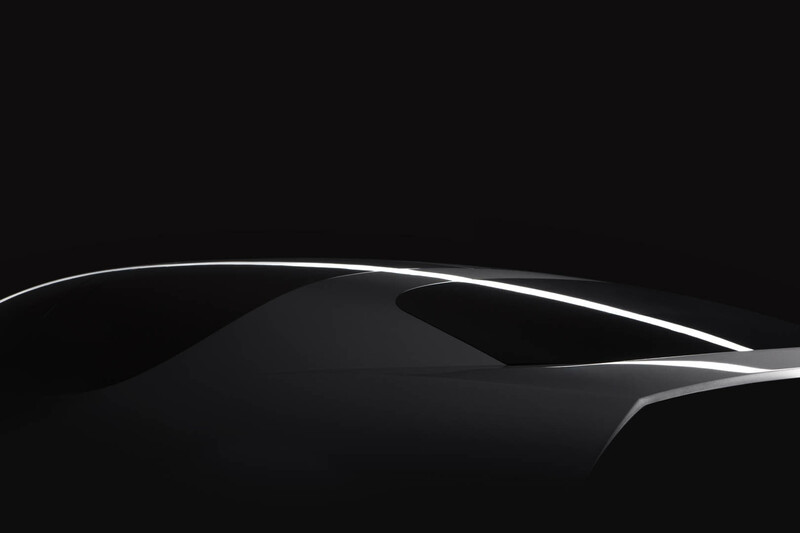 GFG Style and Envision are pleased to present a new concept electric vehicle at the 2018 Geneva Motor Show. 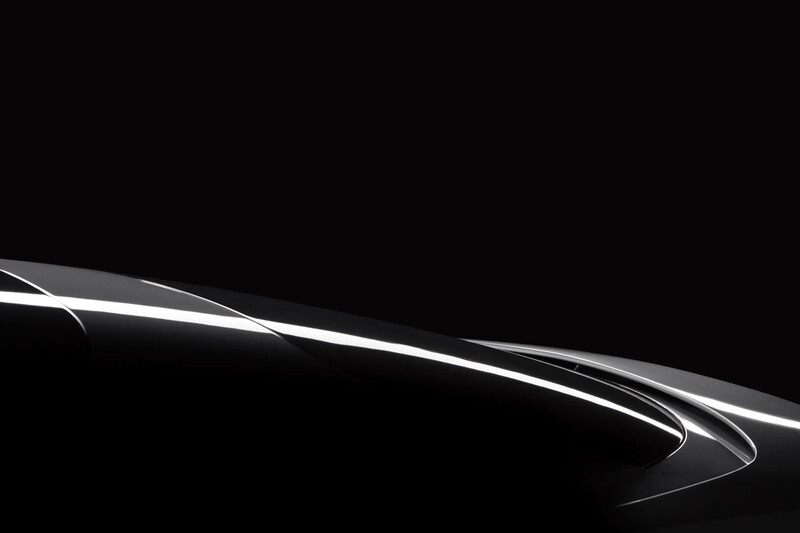 The concept car brings together beautiful design with beautiful energy, defining a car that integrates with its surrounding energy infrastructure. “In celebration of my father’s 80th birthday, we have designed a car that combines the comfort of an SUV with the elegance of a luxury sedan and dynamics of a sports car. 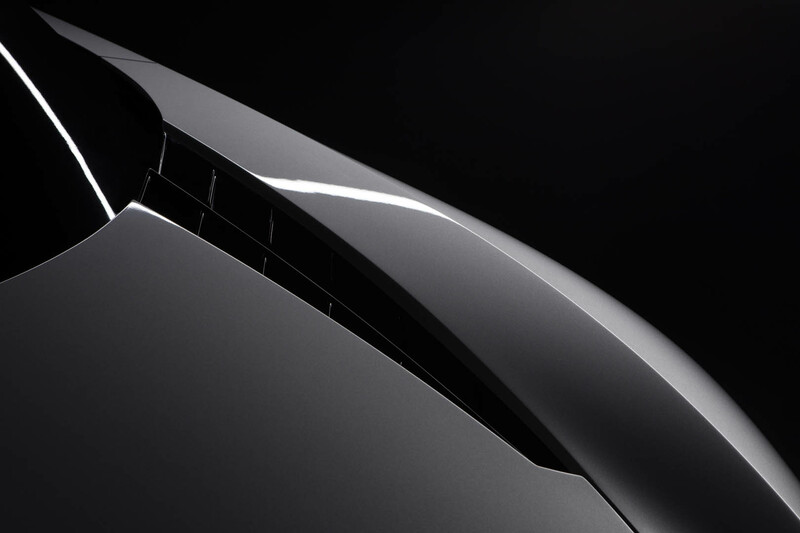 It is a beautiful shape, inspired by the seamless efficiency that Envision’s EnOSTM energy IoT platform enables,” said Fabrizio Giugiaro, CEO of GFG STYLE. “Integration of EV charging into the electricity system is one of the biggest challenges for the automotive industry today. Sustainable mobility can only become a reality once sufficient clean energy is integrated into the energy system to charge millions of EVs, and for that to happen the world’s transport and energy systems need to merge into one ecosystem. We joined forces with GFG styles to address this challenge,” said Zhang Lei, Founder and CEO of Envision. 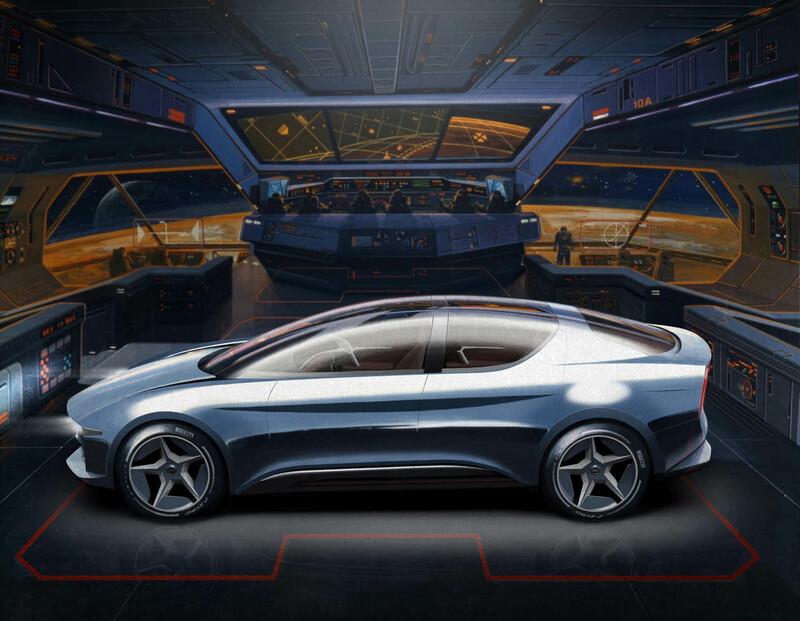 A four door, luxury sedan, empowered by Envision’s EnOSTM energy IoT platform, the car is a ground-breaking concept, introducing innovative solutions in accessibility and mastery of driving with clean energy and a connection with the broader energy ecosystem. Empowered by EnOSTM, the world’s largest energy IoT platform, the car can also become an intelligent green power plant. A car (e.g. with a 75 KWh battery) stores as much electricity as an average European household consumes in a week, and can be both a flexible demand and an energy source. With EnOSTM, the car not only connects to a network of 100GW of renewable assets, but also communicates and shares energy with other vehicles, homes and buildings, enabling a flexible and smart future energy system. This makes electricity clean, secure, and affordable for millions of EV users. Zhang added: “With EnOSTM, for the first time, a driver can influence the colour of their electricity and contribute to a world of Beautiful Energy®.” The car’s name, Sibylla, was chosen in reference to the figure from Latin mythology endowed with the ability to provide answers and predict the future. This connects to the ability of the EnOSTM platform to make the car smart within the wider energy ecosystem, able to provide data from the external world and support the future of e-mobility. It is also a fitting tribute to Giorgetto’s mother, named Maria Sibilla. To celebrate this important occasion, the Turin designer has chosen to exhibit his new concept alongside the Chevrolet Corvair Testudo developed by Bertone in’ 63, designed by Giorgetto at the age of just 24 and presented at that year’s Geneva Motor Show. Sibylla is a sporty four-seater all-wheel drive. Its design references the very low and provocative hedonistic cars Giorgetto designed in the Sixties and Seventies; a juxtaposition with the future-proofing technology which the concept car runs on. Over five metres long, and 1.48 meters high, the car is a generous size. There is a continuous outline, which descends harmoniously from the transparent upper part towards the tail, while the side is made more light and dynamic thanks to a dihedral cut running just below the base of the window. This optically connects to the wheel arches, while the sill area of the brancardo is enlivened by a strong arched recess, also connected to the wheel arches. The way the car opens is ground-breaking, with the world’s first sliding windscreen front section: the expansive windshield dome moves forward, sliding at the center and opening into a huge space for the driver and front passenger. The dashboard has a full-width smart interface, displaying data on the car’s performance and the wider environment which it drives through. Envision has long pursued the concept of a holistic ecosystem, where energy, transport and infrastructure work in harmony, to enable the world’s transition to a sustainable future in which energy becomes clean, secure, and affordable. This is Envision’s vision of “Beautiful Energy®”. Developed and owned by Envision, EnOSTM is the largest energy IoT platform in the world, currently managing 100GW of energy assets globally; equivalent to the entire power generation capacity of the United Kingdom. 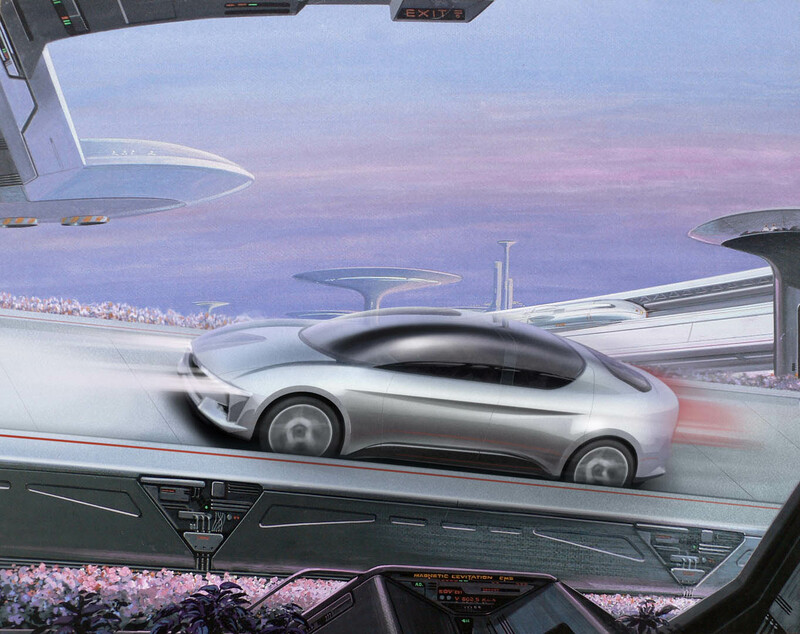 Being EnOSTM Empowered, the car is intended to become intelligently integrated into the wider energy ecosystem. It becomes part of the energy solution, not only as an intelligent, interactive electricity demand movable in time and space to help integrate renewable energy generation, but also sharing energy with the driver’s home and the community when needed. This concept car is truly a breakthrough in embedding the car into a larger energy system, across our homes, communities and smart cities. 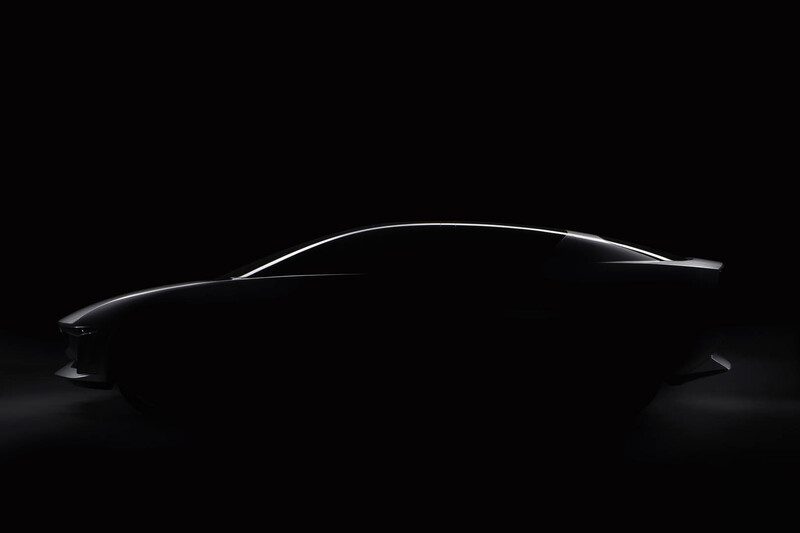 The car signposts the potential, and growing need, for traditional car designers and manufactures to fully engage in the wider energy ecosystem – one which is electric, connected, clean and beautiful. 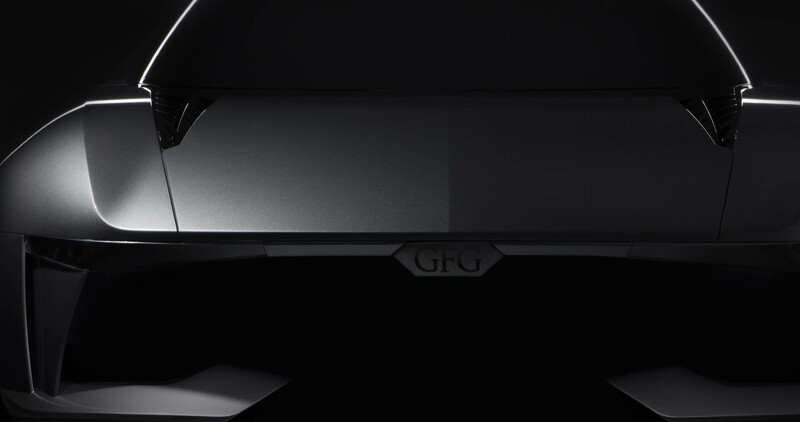 The transparent windshield-roof has allowed GFG to eliminate the A-pillar, directly arriving to the B-pillar as a single curve. This innovation makes the car extremely easy to get in and out of, while providing the driver a bright and panoramic view of the world around them. The rear compartment of the car is equally spacious thanks to the gullwing configuration. The photosensitive glass darkens in case of excessive sunlight, except for the traditional windscreen section necessary for driving. Once seated, the cockpit closes automatically, but can also move forward if desired. The bonnet is laterally cut by two openings containing the structural guides necessary for the sliding of the glass dome. On the central guide in the mid-section of Sibylla is a 180° side and rear-view camera. The electric drive system, with four electric motors placed on the two axles, has enabled the removal of traditional barriers inside the passenger compartment, such as the central tunnel. This gives Sibylla a completely flat floor, which hosts the four independent seats: this feature allows the rear passengers to profit of the same adjustments as the front, totally reclinable. All the interior is trimmed with prestigious Poltrona Frau leathers. Ergonomics have been studied following the most demanding criteria. Sibylla proposes an aviation-inspired steering wheel, with remnants of an airplane cloche. On the steering wheel, touch pads are positioned at thumb level, to allow the best control with the least distraction from driving. The dashboard develops as a half-moon, running from side to side. It contains displays and monitors communicating all travel data, with the most advanced apps for infotainment. In this sense, coherent with its name, Sibylla offers a whole series of inputs and information for the users, but also for the world outside. Between the front and the rear seats, two ample central cabinets run on guides to improve accessibility. Hinged on the front side of the cabinets a movable control panel allows access to all services. It can be reclined freely to further enhance space. Thanks to the glass dome, the traditional side window movement has been eliminated, leaving room for a wide dispenser in the side panel. The huge dimensions of the interior also allowed for a space behind the rear seats, useful for small bags, coats, and in general allowing for better privacy.